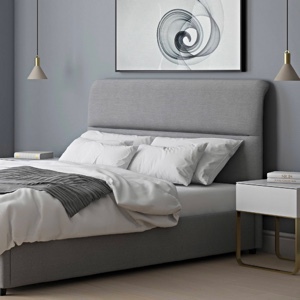 As grey gloss is such a neutral tone, it can easily be styled with a whole range of contemporary colours and styles of interior. 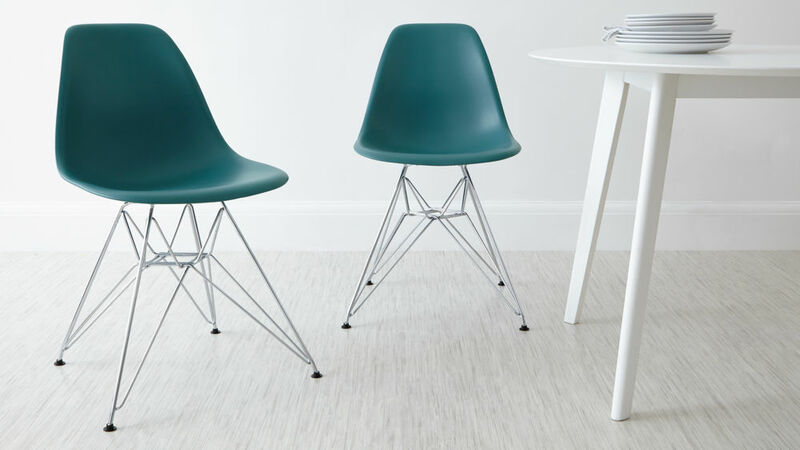 That's why we've created the Cross Grey Gloss and Eames Moulded Wire Frame 4 Seater Dining Set, as the hand picked colour palette of our Eames chairs combined with contemporary glossy finish, creates a beautifully clean, crisp and coordinated looking looking dining set. 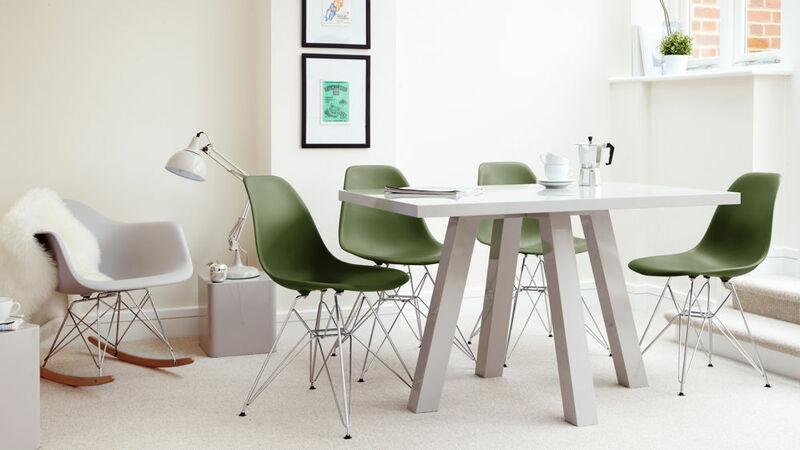 A subtle but effective design feature of this Cross dining table is how the leg frame crosses under the grey gloss tabletop. 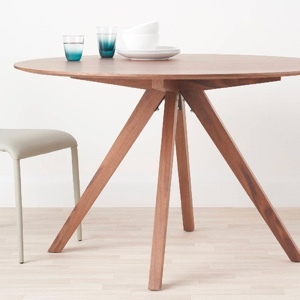 We did this because we wanted to keep the design of the table very simple, but in a stylised way. 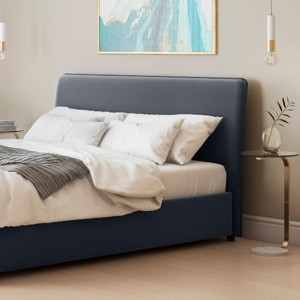 By adding the under frame, we've created an extra bit of design with lots of added stability. 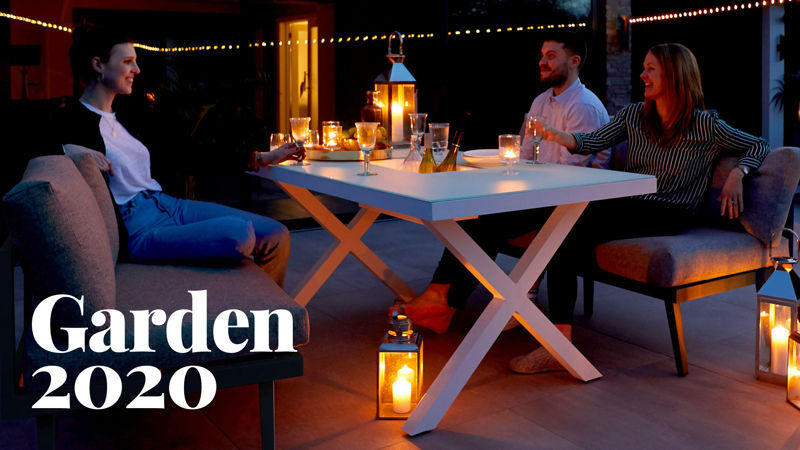 The clever leg design of the Cross also enables this table to have some of the great qualities of a pedestal base, allowing you to sit 4 people very comfortably. 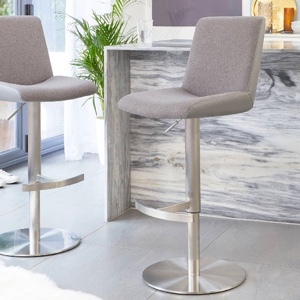 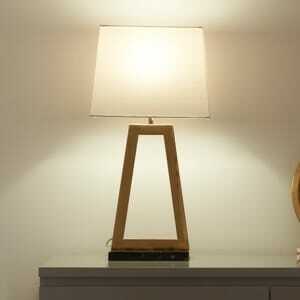 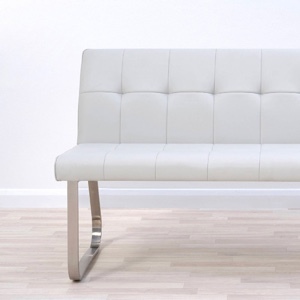 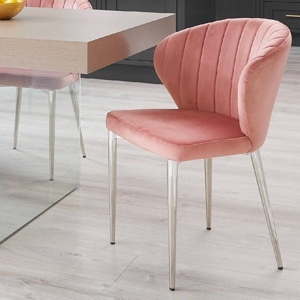 This creates plenty of legroom around the table, without the table legs getting in the way. 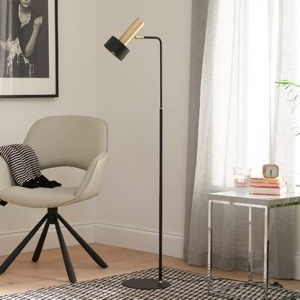 The cross over style of the table legs is subtly mirrored through the leg frame of the Eames wire base, as the Eames base has a similar cross design. 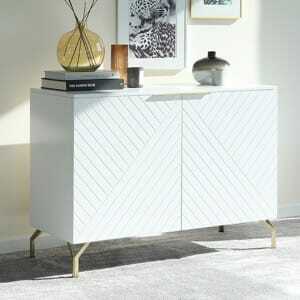 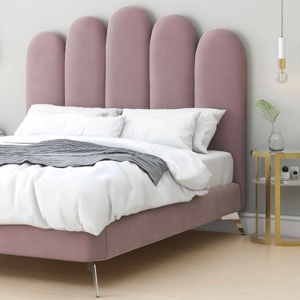 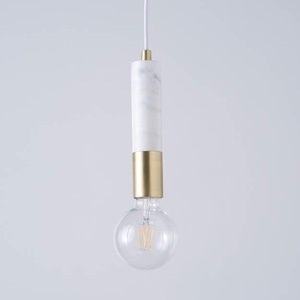 This creates a seamless and coordinated combination. 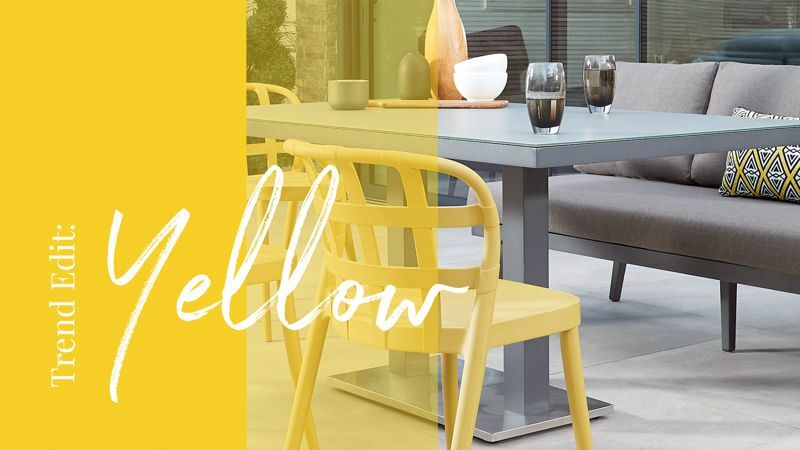 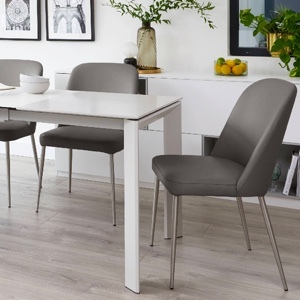 The grey gloss finish of the Cross dining table is such a versatile colour, as it can be placed with the same wide selection of colour finishes to that of a white gloss.  Grey gloss also has the added bonus of bringing a subtle hint of colour and a feeling of warmth to a space. 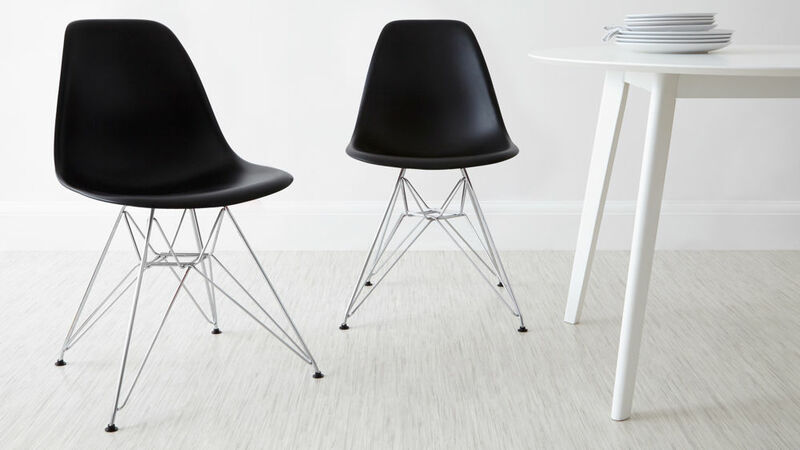 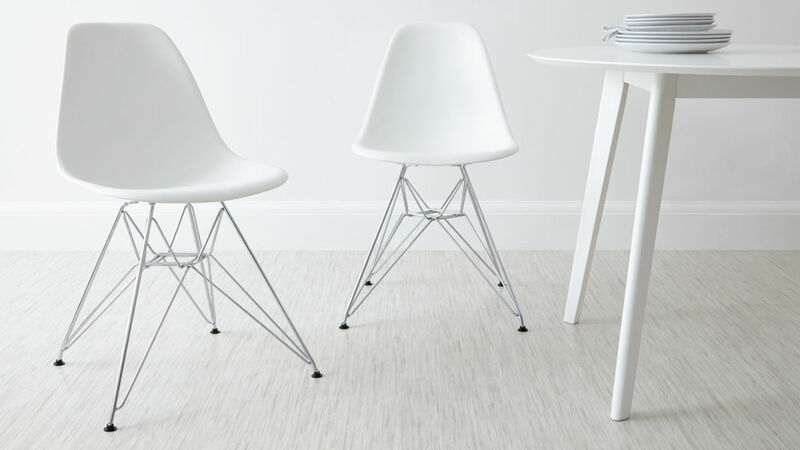 You will see many other replicas of the iconic wire Eames design on the market, but at Danetti we've ensured quality by adding rubber washers on the legs and pads on the feet to prevent squeaking. 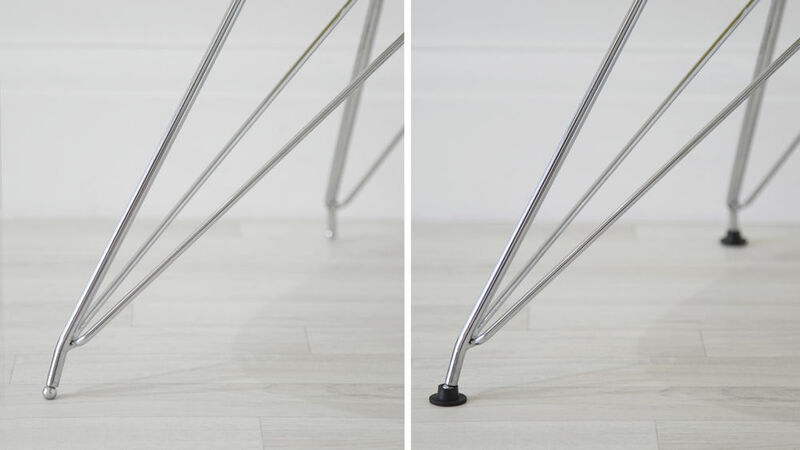 This is an incredibly important feature on a chair with chrome legs as they would be prone to rubbing over time. 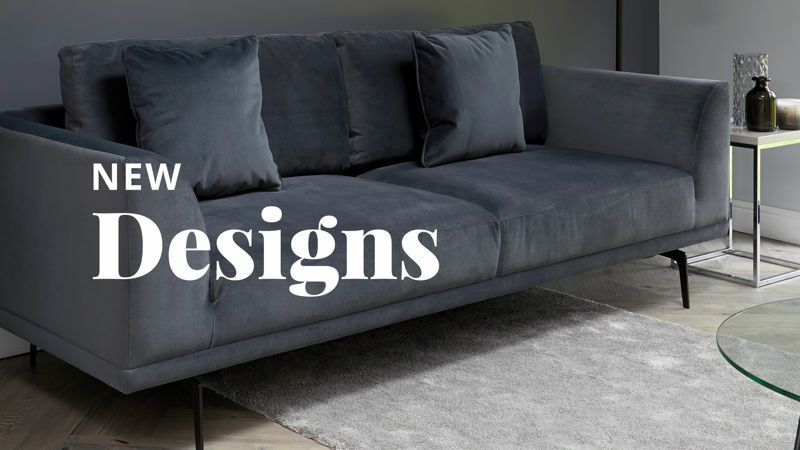 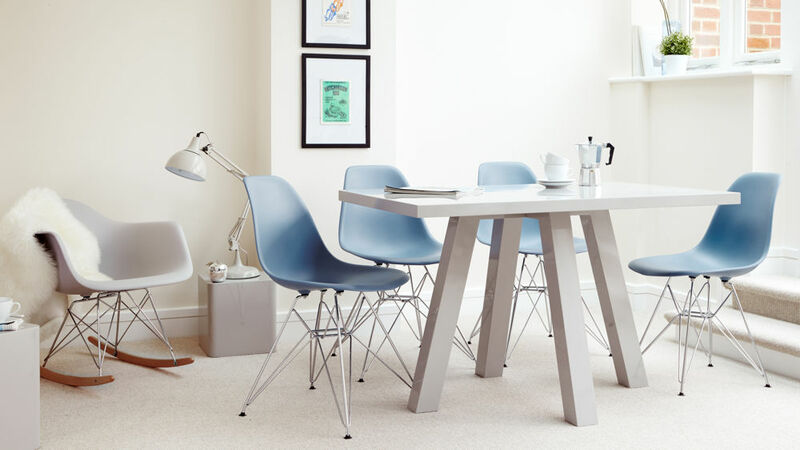 Our Cross Grey Gloss and Eames Moulded Wire Frame 4 Seater Dining Set is perfect for every day family dining, creating a modern and designer look in your home. 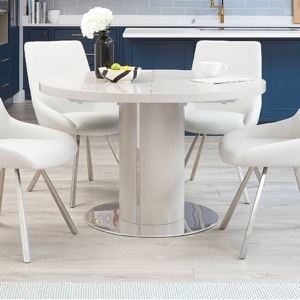 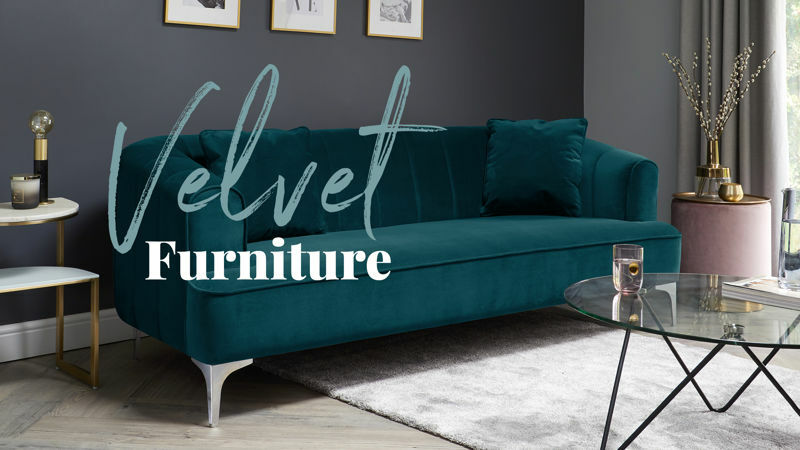 The Cross 4 Seater Grey Gloss Dining Table is also available in a variety of different finishes, which can be found in our Exclusively Danetti with Julia Kendell range. 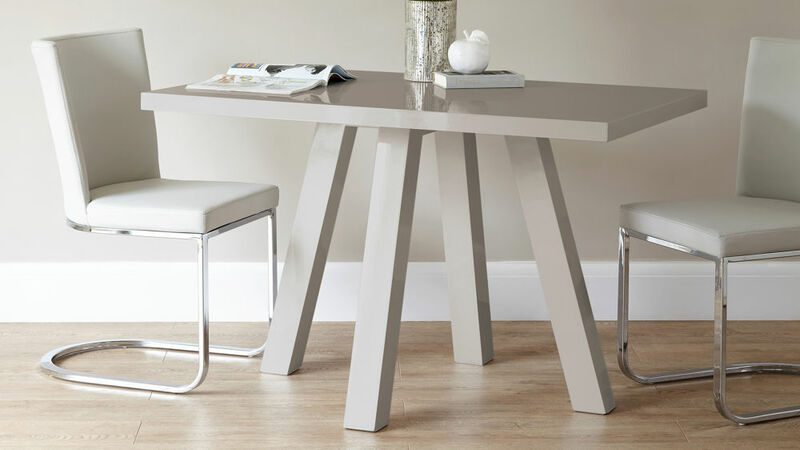 Due to the crossover leg design and high gloss finish of the Cross dining table, this is a great option for maximising your space. 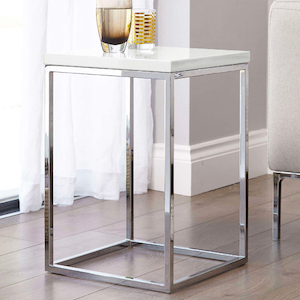 It has all the joys of a conventional rectangular table with the added bonus of a pedestal style base. This is because the table legs are situated more towards the centre of the table, rather than being placed in each of the four corners. 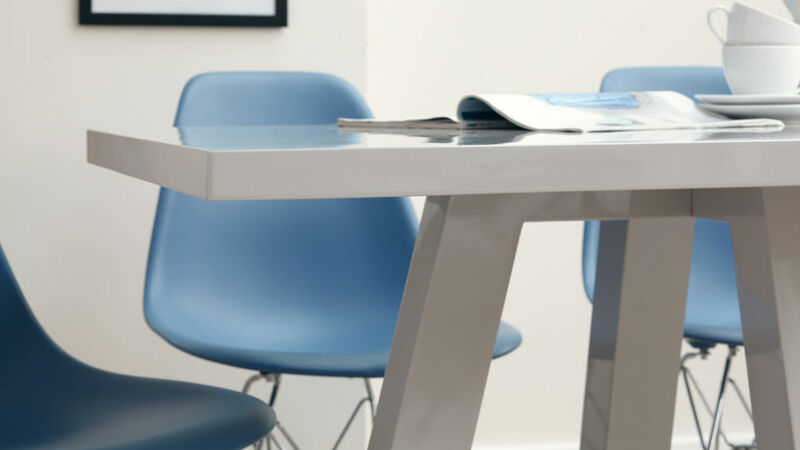 This really opens up the area around the base of the table, allowing for very flexible seating arrangements. 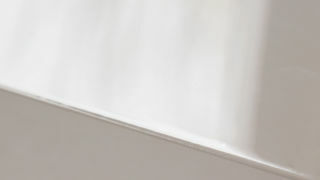 Glossy finishes are also known for reflecting the light, creating a brighter and more open feel in any home.